The Annual Henbury Corporate Luncheon is our school's main fundraising event. Each year we raise funds to support new and innovative programs that aim to further our students' learning and well-being. 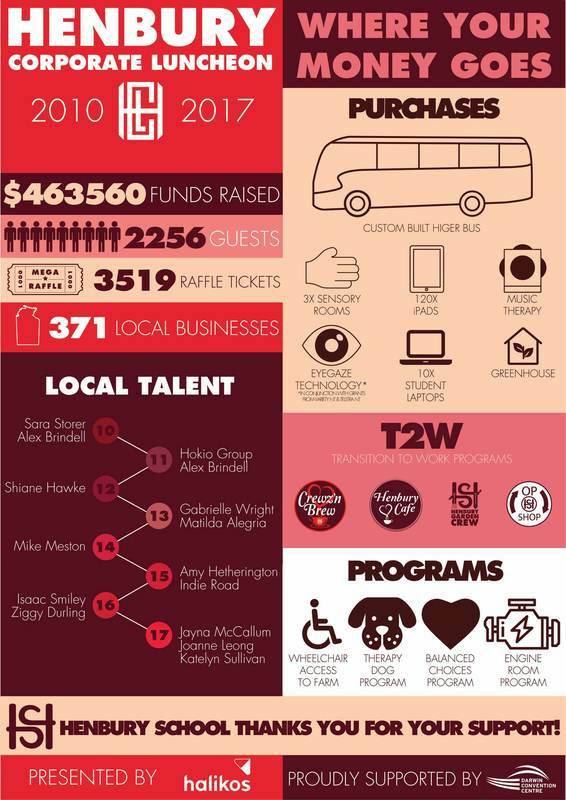 Since it's inception in 2010 we've raised over $400 000, enabling us to fund a new custom modified bus, Transition2Work programs, a Sensory program, an Augmentative Communication program, and a Music Therapy program.